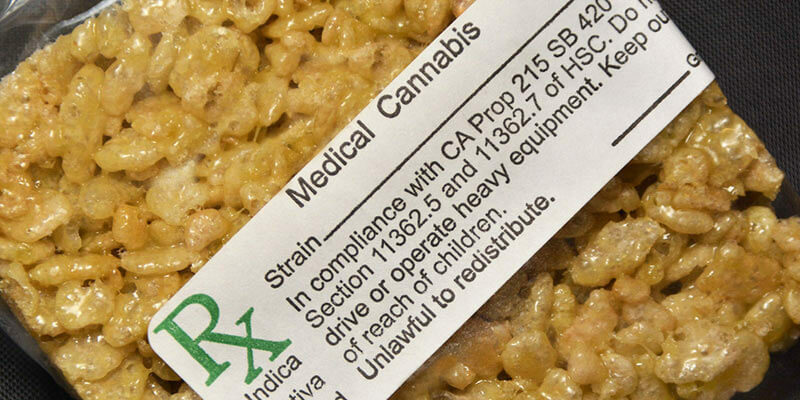 Edible medical cannabis is a great alternative to smoking weed. This term hides a number of products that can be eaten or drunk. At the same time, any such product contains cannabinoid extracts that have exactly the same effect as a weed cigarette. At the moment there are many varieties of food containing medical cannabis. Starting from the usual cookies, cakes or sweets, ending with drinks or even dishes of the author’s cuisine of a restaurant level. 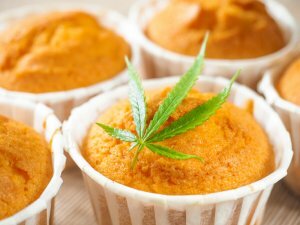 • Baking with the addition of medicinal marijuana (all types of cookies, brownies, buns, biscuits and similar products). 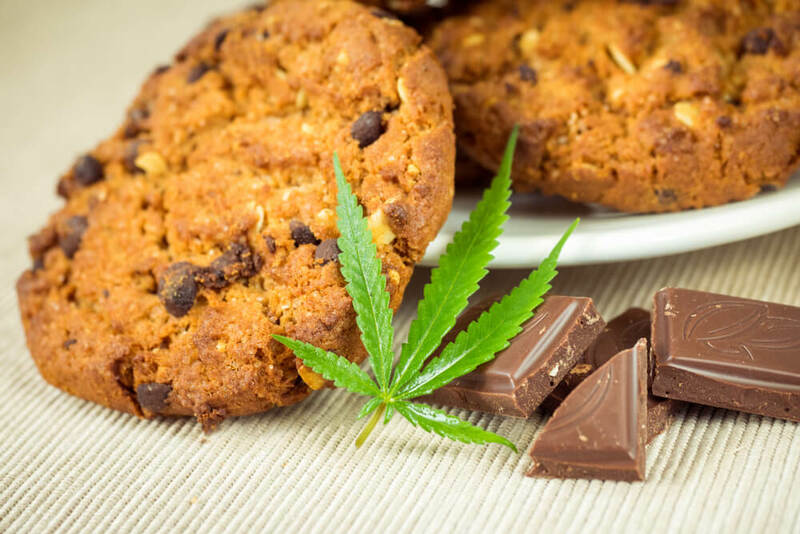 • Sweets with marijuana (chocolate, chocolate bars, candies, lollipops or any other types). • Drinks with marijuana content. • Vegetable or cream oil with cannabis, which is added during cooking (canna-butter). In order to prepare edible marijuana special technologies are used. Most often, the flowers of weed or plant extracts (tinctures) are added directly to the food. They are mixed with fat-containing components at the preparation stage and then subjected to heat treatment. 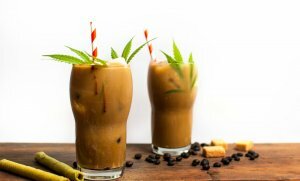 By the way, you can try cooking your own cannabis recipes using canna-oil. • Edible cannabis is easier to use, especially for non-smokers. They are considered to be healthier because the marijuana smoke doesn’t inhale in your lungs. • If medical smoking marijuana is presented in a single form, you can buy an edible MMJ in a variety of ways, focusing on your taste. • In addition, the effect of marijuana, used orally, has greater softness and duration – it lasts from 4 to 6 hours. • Due to the fact that the active substance enters the body through the gastrointestinal tract, its absorption rate is low, which means it will take a long time to wait for the effect: on average, depending on the patient’s characteristics and MMJ dosage in edible, it can reach from 45 minutes to 3 hours. If your state of health allows you to wait so much – it means, there are no problems. • It is very difficult to calculate precisely the dose: all recommendations about the edible weed concern the patient’s intuitive sensation, which means it is easy to exceed the dose. Therefore, those who are just starting to use MMJ edibles should start with very small amounts of edible and slowly increase the dosage to the optimum. Besides, it can take the nerve pain, menstrual malaise. Using edibles for migraine shows a brilliant result. And some doctors can prescribe it for sleep disorder treatment. Nowadays medical science views marijuana edibles as a way of treatment for common diagnoses such as breath disorders or just influenza. In other states you can use an online order for the cannabis edibles purchase. If permitted, you can also find it on the local green-markets or fairs. 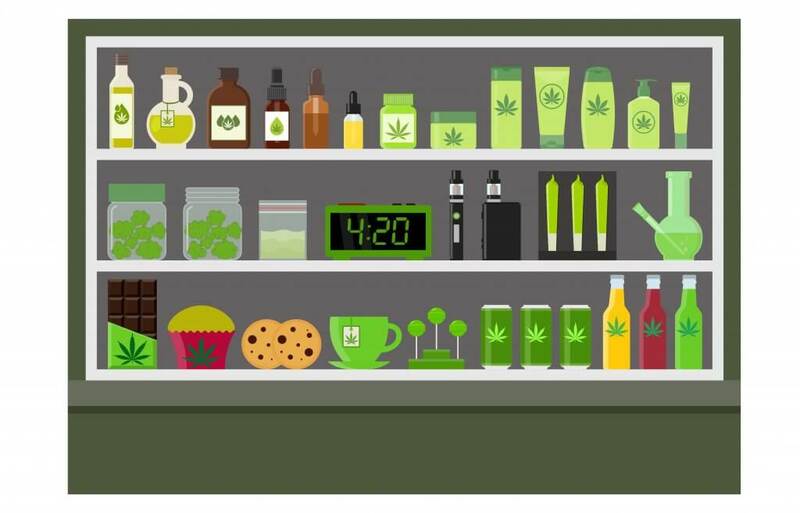 That’s important to know that Canada newly proclaimed Cannabis Act doesn’t include edibles among the permitted cannabinoid products – there’s only seeds, oil or weed itself on the list. To begin with, the edibles contain various concentrations of CBD or THC. It is calculated in milligrams of an active substance. Thus, in some products, the manufacturer lists the number of milligrams for the entire package, there is an option in which milligrams per serving are indicated, and there are cases when the number of milligrams is per 100 grams of product. So it’s better to read accurately the package to know exactly how many mg of THC it contains before calculating the right dose. In practice, it means that if you have purchased one chocolate bar and the manufacturer mention it consists of the 50 mg of the cannabinoids and the required dose for you is only 5 mg, you should divide it into the ten parts for eating one a time. 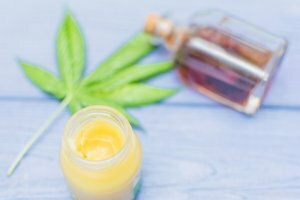 If you have no strict permission of the dose choice from your doctor concerning the edible CBD and want to try it for pain taming, look forward to our tips. Better go slowly without extremely high doses at first. The stated recommended dosage of canna-oil or food consisting of medicinal marijuana for the new consumers is from 1 to 5 mg at once. It is needed to wait for 24 hours after using edibles at the first time to evaluate the effect and efficiency of that therapy. Then you can increase it by 2,5 mg a day till the effect became felt. If you cook edibles for yourself at home mark it with some label and be sure no one else can consume it (especially, children, pets or old people). On the purchased products there are already needed labels so you can be aware of the overwhelming dose. While choosing between the cannabis oil or the tincture, the last one has a quicker effect in perspective. Be aware of consuming edibles with alcohol in any amount should case an unpredictable effect. While eating or drinking weed edibles be sure you have a lot of water to use it for the beverage. The effect of edible cannabis is immediately affected by many factors: for example, medications taken along the way that can both enhance the effect of marijuana or weaken it. In addition, it is necessary to take into account the peculiarities of your body: in some people, the process of absorption is faster and the effect is achieved in a shorter time, in others the delay of the effect may be extended. Therefore, the exact dosage of edible MMJ is calculated with difficulty, and it is much easier to choose it by experience. The overwhelming of MMJ-containing food is easy. It happens because of the great taste of the product so you should eat it more and more. The frustration of the delay of the new dose is one more reason for overdosing the weed. If that happens to you, don’t panic and remember that the overdose delusions are no more than a few hours lasting. Just relax, stay at home and drink a lot of clear water to avoid drying up. 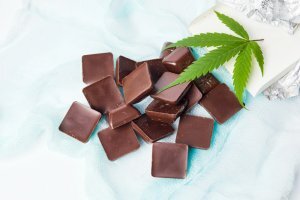 MMJ edibles could be a great therapy method, especially if you don’t smoke and prefer the joyful variant of treatment. It could take the chronic pain, help with the psychological problems or just raise up your life quality level. But it is necessary to take it in the right dose, avoid misusing it and of course be in touch with your doctor for a piece of advice if necessary.